March 25, 2013 – The plant engineering specialist Uhde Inventa-Fischer and JSC Grodno Azot PTC Khimvolokno of Belarus have successfully commissioned a plant for the production of polyamide 6. The multiline plant is located in Grodno, Western Belarus, has a capacity of 91,000 tonnes per year and replaces seven lines that have been closed down. The new plant has enabled the customer to almost double its production capacity at the site from 140 to 260 tonnes per day. The majority of the pellets produced at the plant are processed to high-quality tyre cord and carpet yarn at the spinning mill attached to the plant. The rest is used in the production of engineering plastics and for various other applications in the global market. Use of the newly produced pellets has reduced the waste quota at the mill by 30 percent. 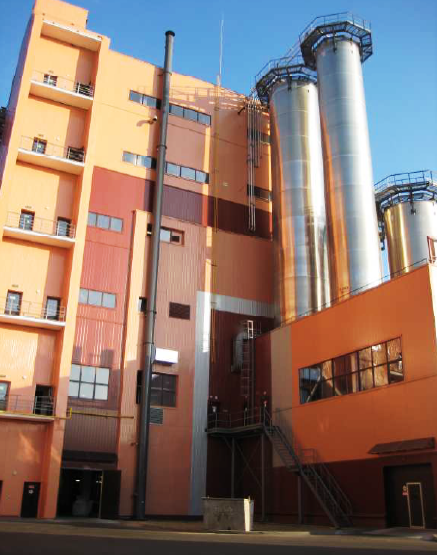 The polymerisation plant uses Uhde Inventa-Fischer’s two-stage polyamide process as well as the Virgin Lactam Polymerization Process (VLP®). The technological highlight of the plant is the cost-effective, feedstock- saving Overproportional Refeeding Process (OPRP®) developed by Uhde Inventa-Fischer. This process allows the caprolactam extract that accumulates on all production lines to be fed back to a single line for the polymerisation of high-quality polyamide 6. The overall design concept enables the plant to be integrated into the existing industrial complex, thus enabling the use of existing infrastructure, such as a direct connection to the feedstock supply and utilities. Uhde Inventa-Fischer’s scope of supplies included the know-how licence, the basic and detail engineering, the supply of all equipment and supervision of the erection and commissioning activities. In addition, experienced Uhde Inventa-Fischer specialists had trained the customer’s operating personnel. The piping engineering was carried out by Uhde Inventa-Fischer’s Russian affiliate OOO Uhde. Uhde Inventa-Fischer is a leading international engineering company located in Berlin, Germany, and Domat/ Ems, Switzerland. Its scope of services includes the development, engineering and construction of industrial plants for the production of polyester, polyamide and polylactic acid. The company has built and commissioned more than 400 production plants throughout the world. On joining the ThyssenKrupp Uhde group in 2004, the company also became part of the Business Area Industrial Solutions of ThyssenKrupp AG.